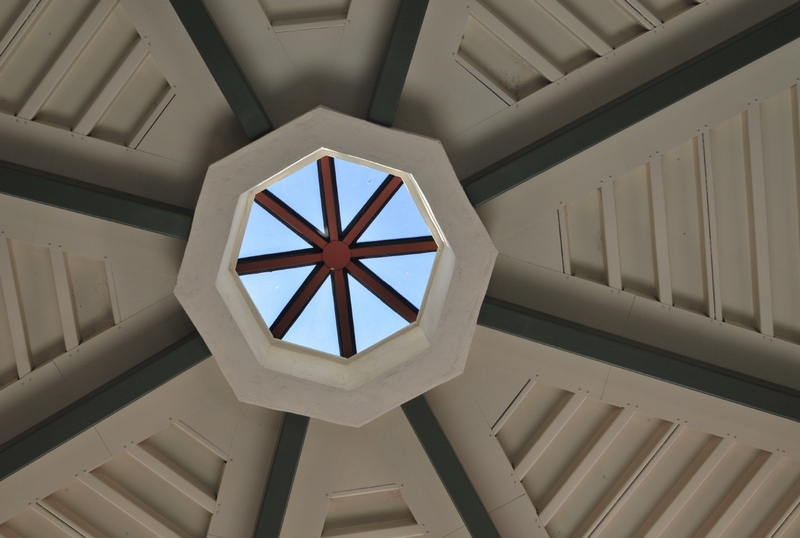 The inside roof of a rest stop found beside highway 101 while traveling north out of Monterey, California and past Camp Roberts. The road the led down from the Museum, curved around and down to an unseen stop sign. 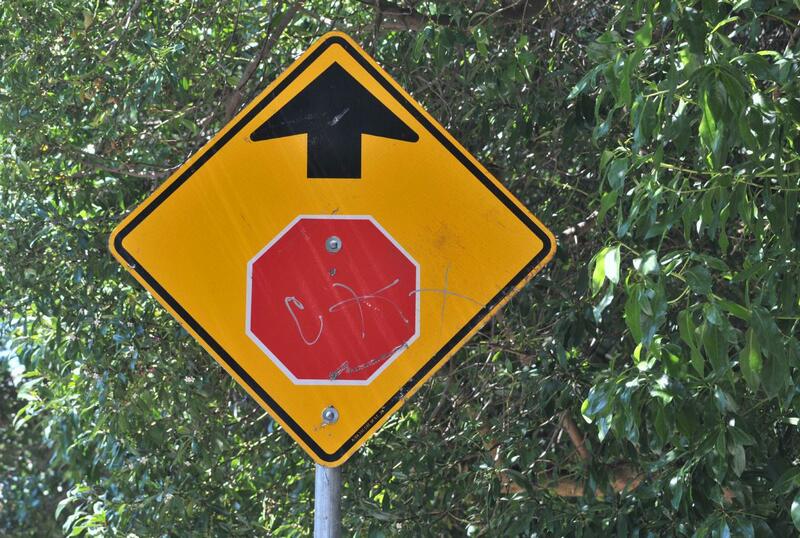 Here was a sign that indicated by use of a red octagon that a stop sign lay ahead. The Folger Building near the waterfront in San Francisco was once the headquarters for the Folger Coffee Company. In the 1900's, one could arrive in San Francisco over the Bay Bridge and pass through a cloud of delicious coffee aroma. The building now offers a large public plaza with office buildings at either end. 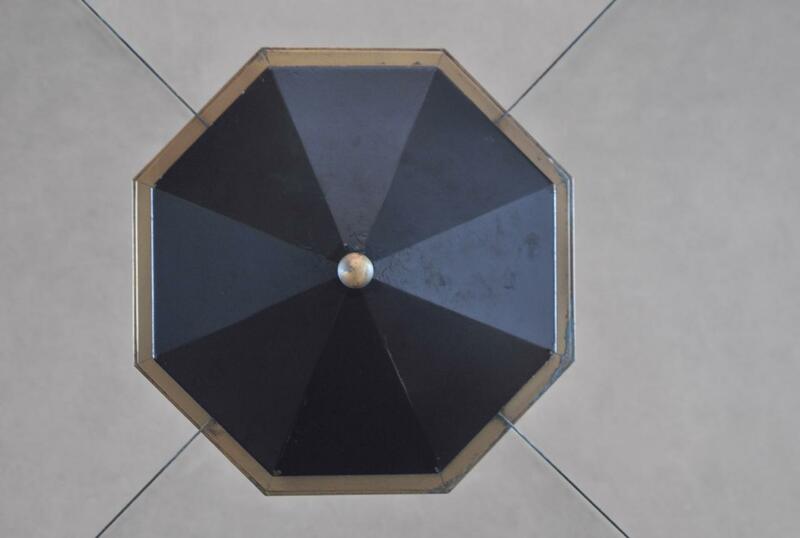 Just inside one entry was this octagonal shaped light fixture.